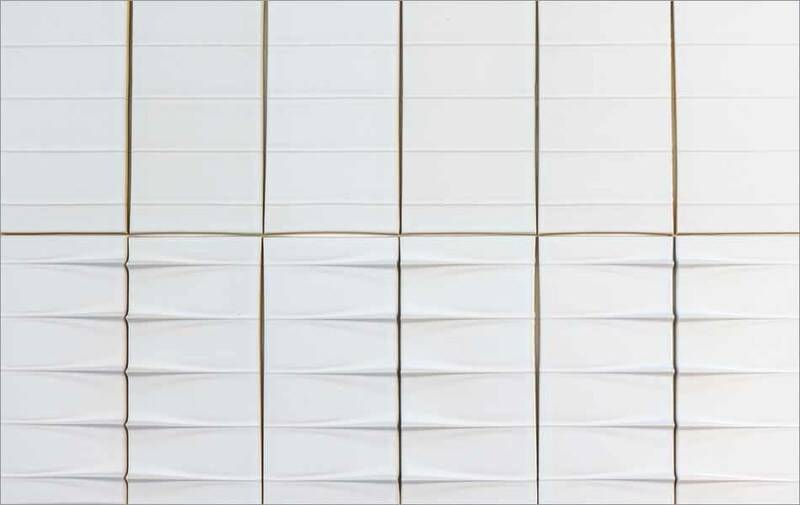 ModCraft, manufacturer of high quality porcelain modern dimensional wall tile, has added four new styles to its ever growing modern dimensional wall tile line. Today’s post features Flight, which is actually made up of two tiles: Flight Field and Flight Path. Both are 6″ x 12″ tiles designed to work apart or together. Flight Field is a a relatively flat dimensional tile with low profile ridges that break the surface up into smaller areas. It is shown in the top of the below image. Flight Path starts with the same ridge profile then rises upward and widens. This creates a very modern dynamic for feature wall surfaces allowing dramatic shadows and glaze effects. Both styles can be used together or separately. Available in all our glaze colors options.